Quality like this is sadly lacking, but Royal Mess are doing their best to rectify that; impressive. 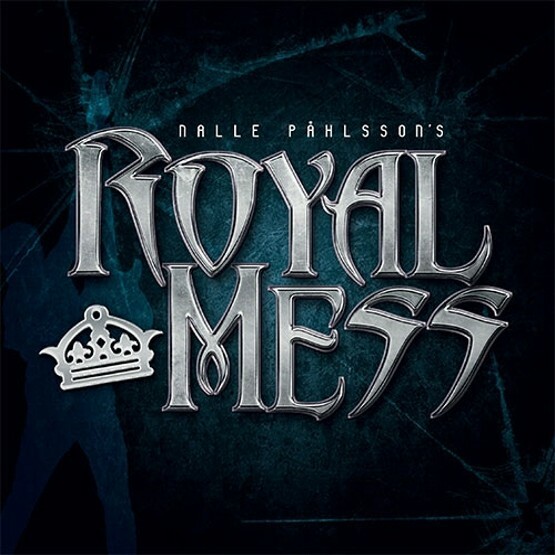 Nalle Phalsson's Royal Mess, an album with a guest list that looks like a "who's who" of Swedish Rock superstars; Mats Leven, Mats Olausson (Yngwie Malmsteen), Kee Marcello, Ian Haughland (Europe), Jamie Borger, Patrick Applegren (Treat), Zinny Zan (Shotgun Messiah) , Pontus Norgren (Hammerfall), practically all of Therion and a whole host of others. Funnily enough, given the pure Swedish nature of the talent on view, the album itself doesn't "feel" like a Swedish album, it tends to operate more of a mainland European sound. There won't be comments such as "Norgren lets rip with a great solo" mainly because I have to take this at face value, no spec sheets provided therefore no clue as to who is playing what on what, so I'll let the music do the talking. What's obvious is the seventies and eighties feel on offer. Straight forward Melodic hard Rock, no frills, no keyboards sprinkling magic fairy dust, no high tech Scandi production, just meat and potatoes, balls out Rock, and dare I say it's all the better for it. 'Aces High' is a pretty perfect kick off, a great chorus on the back of a romp along guitar riff – its party time. 'Mr Freedom' without doubt is as autobiographical as you get, gritty guitars, but given Nalle's previous disposition, it is an up-tempo riff monster offering a brighter future. I defy anyone not to jump, dance and sing-along to 'Gold Digger', a brilliant chorus – she loved me for the money – classic... imagine what Poison jamming with Treat might sound like. All in all Phalsson has come up with an album that wears his heart on his sleeve, and finds its roots in the fledgling Melodic Hard Rock breakout of the mid-eighties, rather than the high tech, sometimes over-produced, cookie cutter approach of many of today's acts. I'm sure this album won't garner the attention it SHOULD, but if your musical taste stems from the heady days of audio tapes and MTV's 'Headbanger's Ball', then this is right up your street. Let's hope this is the first of many more. 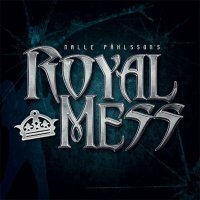 Quality like this is sadly lacking, but Royal Mess are doing their best to rectify that; impressive.